If you have a website you know how hard it can be to get the traffic you need or find help to maintain your site or make the changes you want. 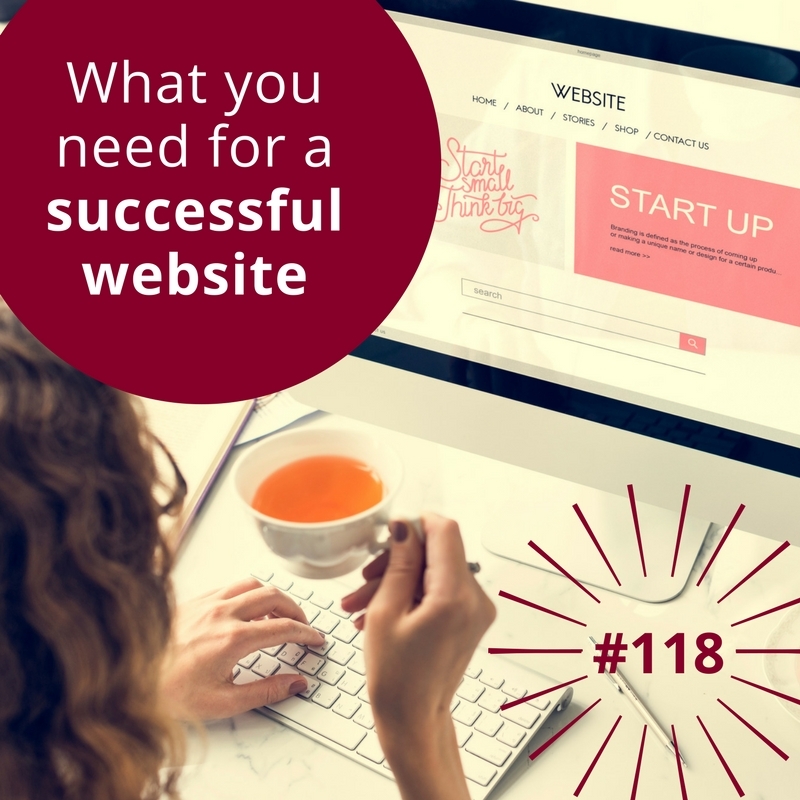 The keys to website success are to have ongoing support, use a blog and work out a plan to make it easy to attract more visitors and add more content on an ongoing basis. Where do I go to get help for my website? How long do my blog posts need to be? How do I cope with all that I have to do? Find out how she answers these questions when speaking or consulting to business owners. Andrew: On today’s podcast we’re talking about the keys to website success. Hey everybody, this is Andrew McCauley. 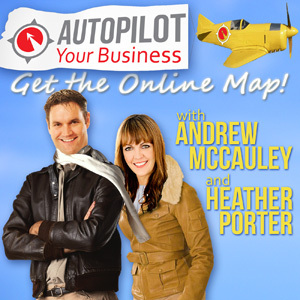 Welcome to the Autopilot Your Business Podcast. This is episode 118. Today we are going to continue our little Q&A. Last week I answered three of the most requested questions that I get every time I go out and speak. This week we are flipping the tables and we are going to ask Heather what the questions are that she gets often when she’s out there speaking. Heather Porter are you in the room? Heather: I’m here. Hello Andrew, hello everybody. It’s good to be back, hanging out with you guys in your earbuds wherever you are in the world. Andrew: Yes. We got a lot of good feedback from last time. I guess people liked those questions. And as I said they’re the questions that people ask me all the time when I’m out and about. So we thought — well why don’t we flip the tables and get your questions that people ask you all the time because you are speaking a lot in front of lots of business owners and lots of entrepreneurs. There are a series of questions that you and I both get on a regular basis, so we thought if that many people have those questions when we’re out and about then surely our podcast listeners are also having those questions popping up from time to time. So we’re going to dig in and answer those for you. Heather: That we are, but before we do that I do want to know what you’ve been up to and if you’ve come across anything interesting? Andrew: Well, I have. This week, one of my favorite platforms in the last twelve months died — it’s died, gone to heaven. It came on the scene almost exactly a year ago, it’s almost a year to the day it came on and that is Blab. So if you’ve ever been on a Blab you know what Blab is all about. If you haven’t been on a Blab then you’ll never ever go on one ever again. But Blab was a tool that you could do a four way conversation on video, live feed, live stream. You could have people pop in and pop off but you could also have hundreds of other people watching you as well. And it was a great tool, but unfortunately they couldn’t sustain it. They had some interesting figures, they went from zero to 400 million users in under twelve months which is phenomenal. Andrew: But they also posted a blog post saying what went wrong. One of the things was that most people’s live streams sucked, to be honest with you they were boring. The repeat rate of people coming back to Blab wasn’t very high — I think they said about 10%. But what they were finding was people’s Blabs were ultimately boring. I could see that, I did a regular Blab with another guy for six months and we were getting a dropping off of people because, well not because we were boring but because were just not coming back to the platform in general. So, I’m seeing a bit of a drop off on Periscope, I know Facebook are spending an inordinate amount of money and effort making sure Facebook Live does what it’s got to do. You know Heather, we’ve never discussed this but my thoughts are, what’s the most common fear in the world. Do you know what the most common fear is? Heather: You and I must be weird because we like it. Andrew: Well, I know. Most people would rather die than speak in public. And I think this whole live streaming thing is — it’s great for entertainment; it’s great for that sort of thing — but if you’re a business owner and you are OK with speaking in public and you want to get on and do some live stuff, there’s a fair chance you’ll be streets ahead of your competition if you do. Because there’s a big chance that your competition won’t like to be doing live streaming in front of a camera. So I think there’s going to be a challenge there for the uptakes. We can all jump on social media and postings because we don’t have to be on camera, but the minute you put someone on camera, things change. Anyway, that’s what I learnt this week is that’s Blab died and gone to heaven, something else will come along, but right now I’m not sure what that’s going to be. Heather: Well I think that’s interesting that you brought that up — and I had a comment on that — is that with so many live feeds happening, we have to go back to our commonsense about what we like to watch as human beings. When we’re watching content we like to know straight away what we’re going to get. So what is in it for us? So we’re going to spend our time there. A lot of people going on right now about this thing called “pattern interrupts,” which is essentially just something that’s going to interrupt your attention long enough to go — yes I’ll check that out. But also cliff hangers, reasons to return and come back. When we’re in a live environment we kind of forget that stuff because we’re live and we’re not thinking and strategically putting together good content that is what we used to do on YouTube shows, you know what I mean? Heather: I think people are working to crack that and there are certain people that are creating really elaborate Facebook Live shows right now with that format that I think are working well. But everybody else — it’s tricky, yes you can go live — anybody can go live — but you also have to be good at what you’re doing. Andrew: Absolutely yes. I’m glad you brought that up because you’re right, there is a specific format that has worked for television for 50-60 years; that format hasn’t changed. Essentially it’s hook, keep them coming back, loop some stories, make sure you haven’t closed those loops until the very end. Comedy shows do this really, really well. But live shows inherently boring. It’s like — OK you’ve given us all you want and now you’re talking to the camera and you’re babbling. Andrew: Well there’s a bit of a sideways rant for today’s Podcast. What about you? Tell me what you’ve been learning about? Heather: Everybody loves it; you guys love it right? I mean you love it when we go on these little weird rants I’m sure. OK, so I came across a new tool. In the past in some episodes I’ve shared with you guys this thing called — and now I’ve forgot the name of it — it’s a heat map tool. Can you remember. . .
Heather: Well the new one is, but the old one I always… Crazyegg. Heather: Thank you, yes. So I used to always share about that. There’s a new tool I’ve come across — probably not as new as I think — but it’s called Hotjar and it has these heat maps but it has a lot of other things. So it helps you get your site to be more user friendly, and all the rage right now is that lingo of UX, user experience, and that’s what it allows you to do. It has heat maps that you can put over the top of your site, so basically it’s showing you where people are looking with a map that has these little hot points. It also has surveys you can put on your site that pop up; it had feedback polls, so as people are on your site, it’s like — hey thanks for being here; what else can we do to improve our site? It has recruitment of user testers where you can give away gift cards for people to test your site to be more user friendly. Heather: It’s pretty cool and it’s not very expensive. So it kind of does much more than a heat map tool; it does a lot of different things to help you improve your website from a user perspective. Andrew: Do you have a clue on the price? Heather: Why good question that you’re asking me because I’m on their price chart right now. We have a basic version for small businesses and students that is free for up to 2,000 page views a day and then for $29 per month you can get 10,000 views per day and a lot more. If you’re a big business you’re only going to pay about $89 per month. Andrew: So let’s just put them into perspective. 2,000 page views per day is really a lot. Andrew: For most businesses, per day. 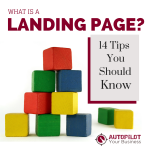 So if your average page view is two or three, that’s 700 visitors a day. That’s a lot of people. If you’ve got that much traffic you are doing really, really well. Wow. I love that. Let’s get that tool. Why haven’t we got that before? Let’s jump on it. Heather: Because I just heard about it and I’m going to be using it. Andrew: There we go. So we’ll be using that and maybe we’ll have to do a Podcast on how used it and how it works for us. But hey there’s a great tool for you. You know a lot of these free sections of tools don’t give you much, this is a lot. That’s good. Heather: Amazing. Yes, it looks really good. So there’s my little thing I came across for you guys. Andrew: Awesome. Let’s transition to the main crux of today’s Podcast and that is the three questions that you get asked the most often when you’re out and about speaking to people about the keys to website success, whether it’s entrepreneurs, business owners or whoever, because these questions are great; I know what they are because we get them regularly but let’s dig in and answer those questions. Heather: Yes and I’ll pre-frame this by saying that these are primarily website questions, and the reason why is a lot of what I talk about is about website optimization and funnels, which really ultimately comes down to your website. So that’s why the questions I get are often times geared in this space. Whereas last episode we had — guys you should listen to that one — it’s about social media questions because Andrew does a lot of social media topics. First question I get when it comes to the whole website thing is, when I’m teaching stuff, people will get very excited and they’re like — wow I want to do that. So then they ask me — where do I get help to do this? That’s one of the very first questions because they are very excited and most of us as small business owners are not technically inclined and shouldn’t be because that’s not your gift; you should focusing on what you should be doing in your business. Couple of ways you can get help — this really ultimately does come down to budget and also you get what you pay for. First thing I say is this — let’s talk budget. Because really if you think of your website, it really wants to take good care of you, so it needs to be coded well; it needs to be fast; it needs to have opt-ins in the right places. It’s there to drive business or new leads into your business. So if you’re going to give it that sort of mindset of neglect where you’re like — oh I’m just going to go and try and get it done for $20 — when you get work done like that you’re getting people that can be a little bit more sloppy with their code and they just don’t take as much pride in their work, because you’re now in that commodity space of trying to get the cheapest instead of the most quality. I like to go for a marriage of the two. So where do you get help? The first thing is, if you can, try lift your game a little bit and pay a little bit more. I mean if you can outsource it, you can go to a place called Upwork.com or there’s another one, Freelancer.com. You can go and find developers that can fix things on your site or do things on your site for you. But here’s where a lot of people don’t use these systems properly. They go on and — like I said — they’re shopping for price. Really what you want to do is you want to look for somebody that has good references that probably charges a little bit more. I like to look for people in certain countries where I know that they’re on my time zone or I can work well with them or their cultural background as well, and I like to see their work. So if you’re going to go that way, don’t just hire somebody because they’re cheap; you actually want to do your due diligence and it’s going to take a little bit more time for you and costs a little bit more, probably, to get better help. But really, think about it like this — and Andrew I know you’re in the same boat; you hear this all the time — there are people that cut corners, right left and center, and then they have this basically “wonky” house that’s built on a really bad foundation that keeps breaking down because they have used too many people over time, paid too little amounts, and then they had this really shaky foundation for their business, of which they’re trying to make… Your website is your business nowadays online. Andrew: Can I just add something to that? If you’re looking at somebody’s portfolio on one of these freelancing sites — we’ve had this before, where we were interviewing somebody and they said — well, I was involved with the creation of this particular website — so we went and looked at the website, and the website was good; it was really nice and functioned well, and what we could see was pretty good. We were under the impression that this person had built the entire website. It turns out that he’d built a small section of the FAQ page. But he stuck his name to it and said “this is what I’ve been involved with.” So you really want to ask them — what did you do on that project? If they give you a project that looks amazing and immaculate, just check in with them and say — what parts were you involved with on that project, because freelancers — this is a generalization — they would try and make themselves look as good as they possibly can, and sometimes the truth gets bent a little bit. Heather: Yes. Very good point. Also I find that when you’re working with somebody you can say to them — what’s the best way I can communicate with you or give you tasks. If they don’t have a really good, concise answer for that, stay away, because it means they haven’t worked on enough projects to actually see a project through. So that’s the way you can get relatively inexpensive help. The second thing is, the difference between freelancers and agencies in your own country. So this is where the prices start to go up, but you have somebody in your own country and you’re also going to get the quality for the most part that you would really want in your website online. So we have a couple differences here. An agency is something like what Andrew and I used to run for a while called Autopilot Your Business, which is how most of you guys know us, and for what that is, is basically from start to finish — you build websites; you give strategy — but you have a lot of different team members to accomplish different parts of that particular project. Whereas a freelancer is a specialist in one area. So you can actually go on and say for example “WordPress developer, Sydney” — I live in Sydney, Australia — and you can find people that live — and they are freelancers that just specialize as a developer in a particular platform. So, again, pros and cons of both of these is that you can go to these outsourcing sites; you’re not going to know the person for a lot of the time; you can get more deals, but those deals can also be tricky, and be built on a rocky foundation or ruin something that you’ve already worked hard to create. Or you can also do the agency, or the freelancer way, within your own country, or overseas as well. 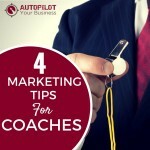 You’ll probably be spending a little bit more but get more quality, and you also get people that already know a lot more, so they might actually come more as a strategist to the equation. Andrew: So you just think look for, do a Google search for these sort of people? Is that the best way to find an agency do you think? Heather: Yes. Google searches and referrals. Referrals are always huge, especially in the space of website development, because you will hear horror stories, and you will also hear — oh I love this person; go there. Referrals or searches. Andrew: If you want an extra step. If you see a website that you like and it’s a local website that maybe it’s your competitor or maybe someone that you know locally, check the bottom of the websites. Usually the builder of the websites will have their little link down at the very bottom. You can click on that and find out who they are. But don’t feel embarrassed either, contacting the owner of the website, and say — listen, I want to get a new website, and I see you used company XYZ; how would you rate them? Are they good? Are they… And ask them the questions that you would normally ask for doing your due diligence. Because that way at least you get to see their work, but you’re also asking some of their customers, because these people are telling you who their customers are, which can be valuable information. Heather: Totally. Well said. Yes, I think that that’s the key part, is that if you want to do some of the changes that, certainly Andrew and I talk about in a lot of our podcasts with you guys, then that’s how you’re going to do it; that’s how you’re going to find some people that’s going to help you out in this space. Are we ready for question number 2? Andrew: Let’s dig in to question number 2. Andrew: That’s exactly how they say it. Heather: — Do I really need it? Andrew: It’s like my five year old — do I really have to go to bed? Heather: — Do I really have to brush my teeth? So I’m going to refer it back to the common sense of a beautifully-answered question that we did in a previous podcast, and that podcast number is — 110. We interviewed a guy from a too called Ispionage, and he basically put it beautifully and I use that when I answer this question. 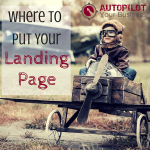 It’s this — A common website has the normal pages — home, about, services, products, contact pages — give or take ten main pages of your site. 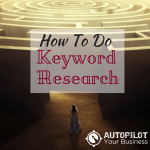 That allows you to use a keyword phrase to be found in Google for each of those ten pages. So if you’re optimizing say, your About page for what your business does, that’s one keyword phrase. A blog post, every time you create a blog post, is another page on your website which is written on a key keyword phrase. So it’s a topic, a main theme, that you can now be found on not only in Google, but also you can use this to be shared on your social media. So I think if you just look at it like that, the answer is — Yes. You need to have a blog. Because it allows you not only to be found in search engines, but really and most importantly, it allows you to have something to talk about, to your newsletter list, on your social media accounts. It gives your business a voice and it helps you educate potential users of your business. We’re big into market segmentation and trying to work out — who’s your avatar and who’s your ideal clients? — and people are going to come into your business from a vast array of pain points. They’re going to come in and some people are going to be, in our case, Andrew, they come and they’re like — I need help with business automation — or — I need help with my Facebook ads. Whatever it is, it’s endless. So your content allows you to meet them where they’re at. Where are they? What’s their pain point? Bring them in on that piece of content, and then guide them to the next steps for you on your website. Do you really need a blog? Yes. You do need a blog. I’ll go into part two of that question in a second, but what are your thoughts on that Andrew? Andrew: We’re creating content at a massive pace. Google is using blog content to make sure that your website is actually alive. Is there anything happening on your website? If they don’t see new entries with new dates, they sort of think — well, if the owner can’t even be bothered coming along and adding stuff, why should we show it in a search result? It’s not that simple, but that’s along the line of — you need to be alive and kicking, and a blog is the heartbeat of your website. Heather: Absolutely. Part two of that is — OK, fine, I get it; I need a blog, but how long does it have to be? I always say, well let’s crank out some numbers. So back in the day when everyone started talking about content marketing which would have been — circa 2010? Andrew: Mainstream people started talking about it then, yes. Heather: Blogging. And what a big trend was back in 2010-11 was basically, just pump content out. Go outsource it; get somebody to write it; it doesn’t even matter if it’s even that good. Spin it. Do different versions of the same piece. Remember those good ol’ days? Andrew: Those were the good ol’ days — I was just going to say that. The good old days of spinning content. Heather: Then put them out in all these other places and cross link them back and… Anyway…The key problem with that is that everyone got used to these 300-500 word blog posts that were crap. Because they were either spun, meaning like a plug-in or a robot would rewrite them in a weird way that doesn’t even make sense for a human reader. Or they were written without any sort of spark or spirit, or any sort of good opinion; they were just kind of bland and boring. Andrew: I call them “flavorless soup.” It’s a bowl of soup; yes, it’s a meal; it’s a bowl of soup; it can feed you; but do you want to go and try it again? Not really. If you want to eat it you can, but most people leave it on the side of their meal. Heather: It worked for a little while, because the first people to do that were creating content, and then as social media became big, people were looking on what to share, so they were willing to share this type of writing. But as the market became flooded and this became known, that everyone needs to create content, then suddenly the next phase up for that is — well, what do you need to do to stand out? So not only have we researched this, there’s a really cool social media automation tool called Buffer App. Buffer App came with an article where they’ve researched, I think it was ten million of the posts that people shared on social media. The blog posts that were most highly shared and engaged and re-shared through all their app, were two things. The were list posts. They were — ten steps to do this; five ways to do this — so basically stick a number in front of something and then talk about what you’re going to teach them. And they were around approximately 2500 to 3000 words. So data right there, if that doesn’t say anything else to you, that should just answer the question — how long does your blog post need to be? Well, about 3000 words, and the key with this as well, it also needs images, it needs scan-ability, it needs an ability to allow somebody to easily scroll through and see what they’re going to learn, have images, have examples, even bring in videos or slideshare, or other ways for them to engage, rather than just a huge 3000 word article; you need lots of other things going on in that post. So that’s the answer to that one. Andrew: If people don’t like it, they’re not going to like it. But at the end of the day, I would rather see — and you can tell me your thoughts too — I would rather see you do one post a month that’s got 3000 words on it, than four posts of 500 words. Heather: Totally. And this is exactly the segue into the last question I’m going to share. Well done, it’s almost like we planned this. So the next question I get is — how am I meant to cope with all that I have to do? They’re sitting at my table; I’m doing like a mastermind session, and they’re sitting there and they’re getting excited; they want to do their opt-ins in the right places; I’m giving them ideas of where to go and get help. They then understand that they need a blog. Then this is the part of the time in my talk where the eyes glaze over. The eyes glaze over. Andrew: That’s not your eyes; that’s their eyes, right? Heather: Their eyes. So they are glazing over, staring at me; some of them proceed to go to sleep; some of them yawn, and the question comes out — how am I meant to do all this? So the perfect answer to that is exactly what you started saying, and it is this — think about your blog as the foundation for all of the content that you’re going to need for an entire month in your business. So if you’re now creating a 3000 word blog post… Let’s say that we’re doing a “five steps to do this” so what’s a good one, Andrew? 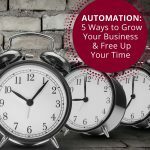 Well, we just release one, actually; it’s really good, you guys, you should check it out; it’s “Five Steps to Automate Your Business.” So we have five steps in there. When you go to that article — I know you guys will love it; it’s on our website — you basically go scrolling through that post and each of the five steps have sub-parts. In one of them it’s basically finding your perfect market or your avatar. We have tools in there that allow you go out and do that. Some of them have videos; some of them have images, screen shares, all sorts of things; we’re educating you on how to actually use that tool or get that point better. With that, you now have this incredible tutorial piece, this incredibly long beautiful blog with lots of break-away points, images — and think about your images like this as well. You can use images in one of three ways. You can have them basically illustrate the point, so that can be a case study; that can even be not only a screen grab of what the point is, but it could also be a stat, so it could literally be the key stat or key take-away or key fact from this particular point. It can also be an image that has on top of it a quote. So that could be a quote from somebody you interview; it could be a quote from yourself, the author in that piece in that particular point. Also the next thing you could do in there is — we have a quote; we have a stat or a fact — but you can also have the key summary or key main point from that particular piece of your blog post. So if you’re doing this correctly, let’s say you have the five steps, and each of the five steps you have images that you’ve created in a tool like say Canva — canva.com — and you now have, if you do a couple per point, you now have ten. 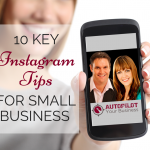 So you have ten images that you can now share and can stagger out on social media. Some that you link back to your blog post; some that you don’t need to because you want to have a combo of both. 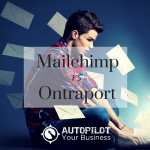 You have this incredible machine that’s there, where at the end of a year you have twelve substantial blog posts that you’re now staggering and compounding for a long time. 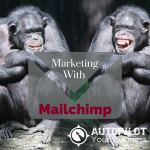 You’re now not having to think about overwhelm with all this because now you have a great blog post that you can actually do newsletters with, content marketing, re-purposing, all the beautiful things you want to do with a blog post. Andrew: Yes, absolutely. I think the key thing is that you’ve got a great piece of content, not just a piece of content. That is the key for it to getting shared and continuing to be well trafficked. If you’re in a space like us where sometimes our stuff goes out of date. We’re talking about a social media platform and it goes out of date. Like Blab, it died. If we had a post about Blab, it’s now out of date, it doesn’t work, no-one wants to know about it. But if you’re in an industry where you can create an evergreen piece, that means it’s still relevant today as much as it is in six months time, then you’re still going to continue getting great traffic from that piece. Heather: Absolutely, yes. I know that still some of you guys might be thinking it’s becoming a little bit more clear and still there might be some questions in your head as far as — OK, now I get that; I get where I can get some help and I get the need to blog and do this. But some of us are still time-poor. Literally, guys, just before this very podcast, Andrew and I were having a chat and what we’re going to do is we’re going to have some webinars that we open up our computer screens and we walk you through how we do this sort of stuff. So I just thought, Andrew, I’d bring it up to these guys. So the best place to find out what webinars or live trainings we have coming up are on our website. 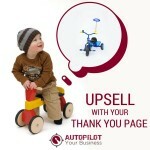 It’s AutopilotYourBusiness.com. There is a menu button there that says webinars and you can click on that and you can see what up coming webinars we have. We’re going to be doing a lot around the content space of what we’ve talked about here today, on if you don’t like to create content, you don’t have time, how do you do it? How do you do these 3000 word blog posts and make it easier on yourself? So come and join us guys because we can hang out with you in a different way and kind of get to meet you that way and share our screens and we’re just going to show you what we do. I know it will help you guys out a lot. Andrew: Yes. You can ask questions too as we go. So, we’ll be live, you can ask questions if you’ve got some interesting questions that you want to pose then make sure you do that. Also let’s just be clear, it’s not a sales webinar or anything like that it’s just content, we’re going to show you some great information. We plan to do it for about half an hour, so put aside thirty minutes. Then if you’ve got more questions we’ll stay on as long as we need to, to answer those questions. So, that’s where it is, check it out on the tabs on AutopilotYourBusiness.com you’ll see the tab up the top. Andrew: Webinars, thank you, yes. Heather: Yes, let’s do it. Andrew: Give us a summary of those three questions that give the keys to website success, if people are taking notes want to make sure they’ve got all of the right answers. Heather: Perfect. So the first thing is — where do you get website help? So, you have two options. You can either go to a website like Freelancer or Upwork and you can hire and outsource it to somebody there, of which you’ll have to place a little job post to get somebody to do exactly what you want. Make sure to do your due diligence and make sure you’re not paying the cheapest rates as well. Or you can go to an agency or freelancer inside your own country or in a country that’s nearby you in a similar timezone; you will probably pay a little bit more, but you’ll also tend to get a little bit better level of work in most cases, not all cases, but most cases because a lot of these guys with strategy behind them to help make your life easier as a business owner. So question number two is — Do I really need to have a blog? Yes, you do need to have a blog as we just discussed. It’s how you basically are going continue to have conversations on social media and with your email list and allow people to find you from different pain points on Google. And how long does it need to be? Well data says 3000 words and who are we to lie with 10 million some odd posts. Heather: Then the last question was — How do I cope with it all? How do I actually do all this stuff? If you just look at your blog post that you create in a much more strategic way and you use that as the hub of your communications for that entire month, then you’ll be able to cope a lot easier than thinking of it as a scattered shotgun approach. Andrew: There you go. Very good. H very good. I think that helps a lot of people, I’m sure it does because I know as you said we get those questions a lot and they’re pretty much the standard answers that we give people when they ask those questions as well. Andrew: Thanks very much everybody. Thank you Heather, that was great. Look forward to seeing you all on the next Podcast which is coming up very very soon. Heather: Love it guys. Thanks Andrew. Thanks you guys, we’ll talk to you all soon.